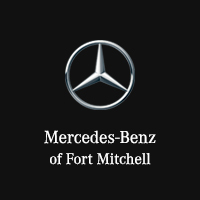 If you are looking for a reliable pre-owned luxury vehicle, look no further than our diverse stock of Mercedes-Benz Certified Pre-Owned vehicles. We have a great selection of Certified Pre-Owned luxury cars and SUVs, so we’re sure to have your dream vehicle! Our Certified Pre-Owned vehicles are comparable to brand-new vehicles. However, they cost less overall because the original owner has already paid for the depreciation new cars face. When you buy a Mercedes-Benz Certified Pre-Owned vehicle, you know you’re getting a reliable car or SUV that has gone through a rigorous inspection process. Mercedes-Benz backs that up with the remaining portion of the original New Vehicle Limited Warranty, which covers the first four years and 50,000 miles. Then, your Certified Pre-Owned Mercedes-Benz will be backed by the CPO Limited Warranty for another 12 months with unlimited miles. As part of the Mercedes-Benz Certified Pre-Owned program, you’ll also have access to 24/7 Personal Assistance, Nationwide Dealer Support, and Vehicle Exchange Privilege. This last benefit allows you to exchange your vehicle for another CPO vehicle of equal value within a seven-day/500-mile period. You’re also welcome to exchange it for a CPO vehicle of greater value if you wish to pay the difference. Our Certified Pre-Owned Mercedes-Benz vehicles are exceptional because our factory technicians carry out exhaustive inspections. The service histories of the vehicles are checked out to the minute detail. The title and body are checked for any evidence of damage from accidents. On top of this, the mileage has to be low enough for us to have confidence that it wasn’t driven hard. When you throw in the warranty protections that ensure a clean vehicle with no hidden surprises, it is easy to have faith in our Certified Pre-Owned stock. This is why banks are willing to loan so many drivers the money to finance purchases of these vehicles. Please contact our dealership or stop by for a test-drive of our lovely Certified Pre-Owned vehicles. We think that the only trouble that you will have with them is telling them apart from the brand-new vehicles on our lots.